While I am going to be talking about how women shouldn’t barter their services, let me first share a win from last week. I’m over joyed to announce that I launched my beautiful new website. It’s my comfy, cozy new home on the world-wide web. I love the way it turned out. And, the icing on the cake is that I received this lovely home by bartering my services. 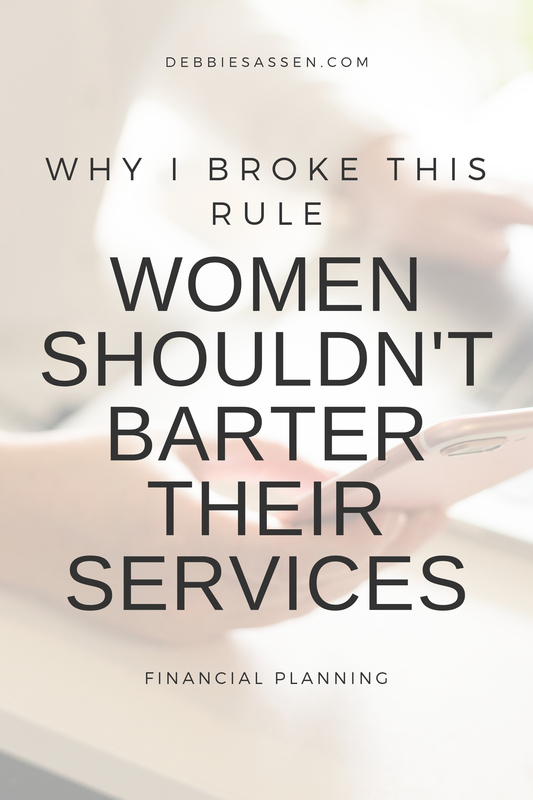 Yes, I know I’m talking about how women shouldn’t barter their services, but I need to tell you how the story of the barter unfolded. Bartering is simply an exchange of goods and/or services without using money as the medium of exchange. Before the invention of currency, it was the common way of conducting trade and commerce. 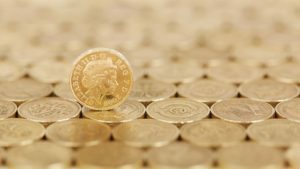 And when it comes to launching a new business, bartering can give you access to a range of goods and services that you might not be able to afford on a shoe string budget. 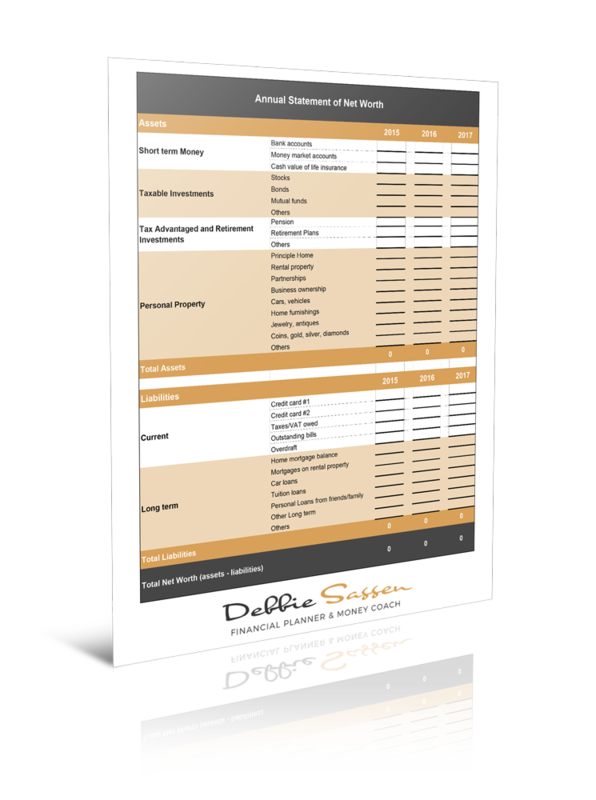 Rental space, graphic design, website development, business coaching, tax advice and financial planning to name a few. 1. Women, much more than men, struggle with asking to get paid. On average, women lack the self-confidence to ask for the fees that reflect their knowledge, education and experience. This phenomenon shows up when women negotiate salaries as well as when they set their fees as self-employed businesswomen and entrepreneurs. Women systematically have lower fee expectations than men and they feel uncomfortable charging their worth, which threatens to keep them in a cycle of underearning. To overcome this discomfort life coach Marie Forleo recommends gathering a group of friends together and throwing a “Pay Me Party,” where your friends prompt you for your price and you practice stating your price and asking to get paid. Side note: Recently, I hired a teenage girl to babysit my kids. My husband and I were out separately for the evening and he arrived home first. He called to ask me how much to pay the sitter. “Ask her how much she charges,” I told him. “She doesn’t know.” Moms, please help your daughters learn to set and state their babysitting fees with confidence. Practice with them so they know what to answer. Help them at a young age step into their value. You will be teaching your girls (and boys!) a hugely important life skill! 2. Women need to feel comfortable receiving money. Receiving is the twin sister of Asking. We need to feel secure that it’s OK to take money from people, even and especially when we’re in the helping professions. Let me share with you something. As a financial planner & coach I see how people spend their money. And even folks with tight budgets, including some people in debt, spend money on personal trainers, spa days, massages, manicures, pets and more. People spend on what’s important to them and where they find value. If your client prioritizes your services over something else in her life, you need to expand your capacity to receive that money with grace. You need to know deep down that you are providing valuable services and it’s absolutely safe for you to get paid. You need to step into your value and your worth. 3. Have clients who are ready, willing, and able to invest in themselves and pay for your services. 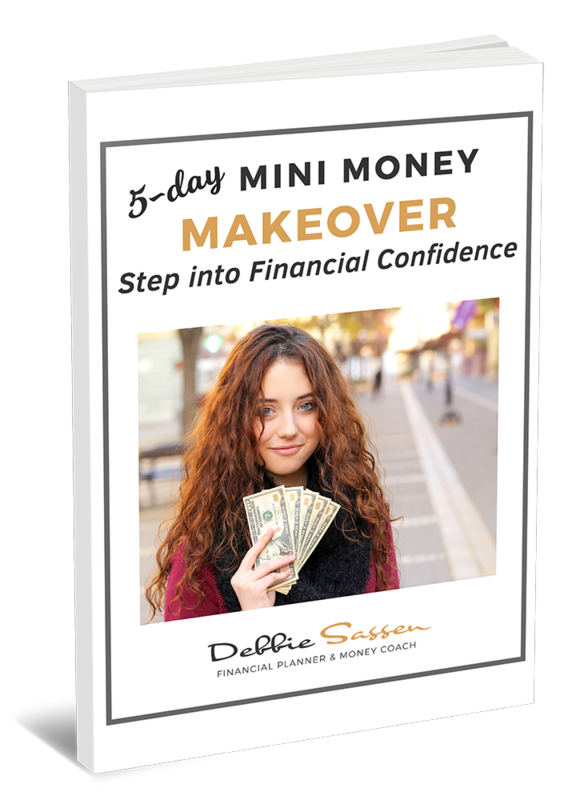 When you take your clients’ money, feel confident that you are doing them a favor. People respect and value goods and services that they pay for. And they’re much more likely to follow through with your recommendations to maximize their results. Personally, I have tons of free ebooks promising all sorts of fantastic results gathering virtual dust on my computer. Sound familiar? Another example, five years ago I joined a gym. I exercised consistently until I hurt my knee 3 ½ years ago. And shortly thereafter the gym moved locations. No problem I thought, I love intermittent walking and running. I’ll create my own fitness routine. I’ll do it myself. Hah! How consistently do you think I’ve worked out in the last 3 ½ years? Don’t answer. Five weeks ago I joined a new gym, paying in advance for two months of Spinning classes. And you can bet your bottom dollar that I have not missed a session yet. In fact, I even paid for and attended an extra class last week. People value what they pay for. 4. You, as a business owner, need to feel comfortable investing money in your businesses. Yes, self-investment helps to make your business a thriving, profitable, going concern, rather than an expensive hobby. You need to create a business plan and be selective about which goods and services you need today and which ones can wait until next month or next year. 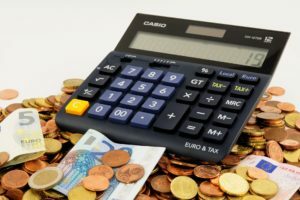 Plus, you need to be able to calculate how many hours you need to work, or books you need to sell or massages you need to give, etc., to cover your costs including your wages, your taxes and contributions to your retirement account. This is how you step up and step into the role of CEO of your business. So, if I feel so strongly against bartering professional services, especially on why women shouldn’t barter their services, what happened to me and my principles? What changed that motivated me to invest in a new website via barter? 1. I was already in the process of investing in my business to update the look and feel of my online presence. I had already paid for a new logo design and I was working with a web developer to tweak my site. As the process evolved, it became clear that what I really needed was a complete overhaul of my website. And I was willing to invest the money to get that done. 2. My web designer, Kirk Wilson, and his wife Jen Lang have been my paying clients for the last few months. We’re working together to untangle and separate their personal finances from their business finances so they can gain more clarity, create financially sustainable businesses and live the laptop life of their dreams. Jen is also a participant in my online program Smart Women Build Wealth. Kirk and Jen have demonstrated their willingness to invest in themselves by paying for my services. Note to entrepreneurs: Mixing your business and your personal finances into one big melting pot (a.k.a. bank account) makes it nearly impossible to know if you’re business is truly profitable and sustainable. To achieve clarity and understanding and in order to create viable Spending Plans for both home and office, it’s critical to separate your business and your personal finances. 3. We exchanged services dollar-for-dollar, not hour for hour. Kirk and I have different hourly charge out rates. While he was building my site, he tracked his hours and gave me a “bill” at the end. Rather than paying him with money, I will be paying in time, charged out at my hourly rate. For example, if the website cost $1250 and my hourly fee is $125, I would be “paying” for the site with 10 hours of financial coaching. We both feel like we got our money’s worth. 4. By bartering services, we avoided PayPal fees. Kirk and I live in different countries and we charge out in different currencies. By bartering our services, we both avoided foreign exchange fees and transactions costs with PayPal. And believe it or not, avoiding PayPal fees was my primary motivation for suggesting to Kirk that we barter services. And I am so glad he agreed, because I am loving my new home on the web. To create a viable and thriving business with clients whom you love and who love to pay you, business owners must feel comfortable and confident asking for and receiving money. Asking and receiving are skills that can be learned and strengthened with practice. And finally, it’s OK sometimes (not all the time!) 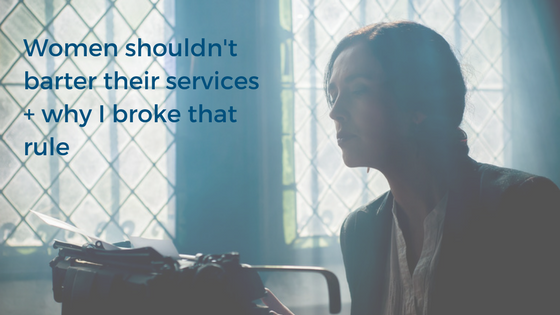 to break the rules and let go of the myth that women shouldn’t barter their services. 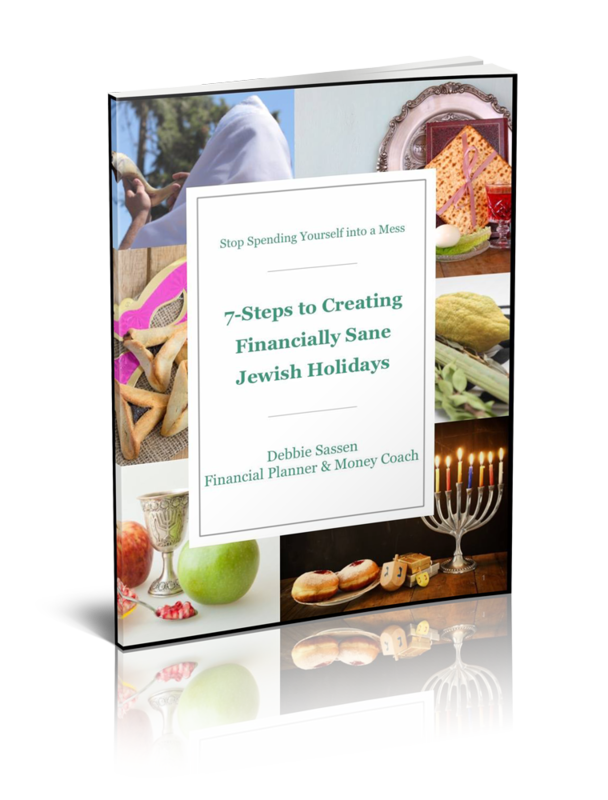 To access more money tips for entrepreneurs, download my free ebook Smart Money: 12 Essential Elements of Entrepreneurial Wealth. 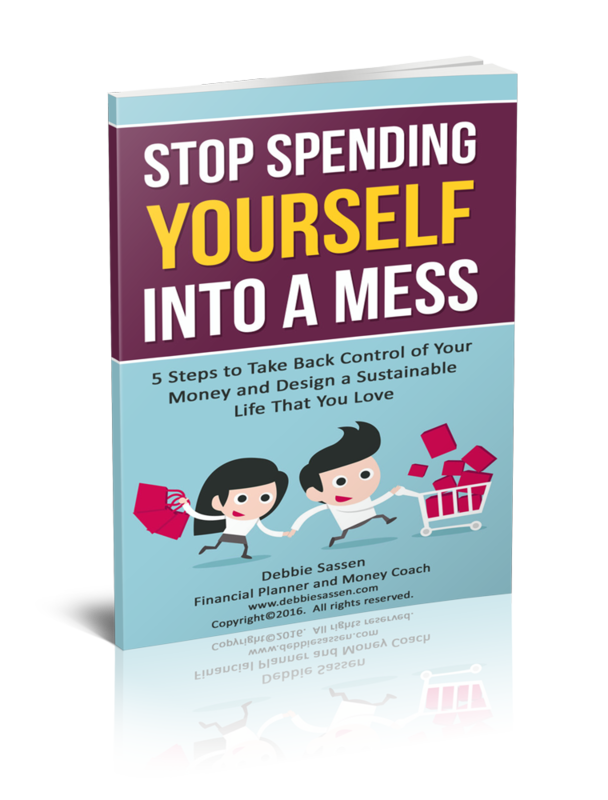 This is one ebook with lots of practical advice that won’t be gathering virtual dust on your computer. Thank you Louise. I’m glad the message resonated with you! Hi Debbie – how did you handle the taxes due on this? Great question! Each country and tax jurisdiction has different rules. It’s something that needs to be addressed with an accountant.